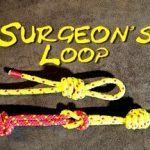 The Pusik knot loop method is tied using the Prusik knot in conjunction with the double fisherman’s bend. 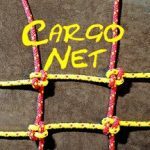 The Prusik knot rope end method is tied in conjunction with the figure of 8 knot. 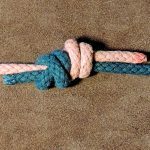 This knot is such a simple little knot to learn, and would be very difficult to forget. 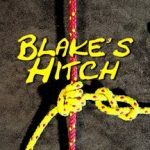 The Prusik knot loop version is often used by bushcrafters to securely attach a tarpaulin to a ridge line. 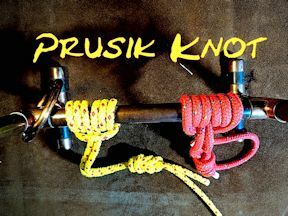 The Prusik knot rope end version is often used by climbers. 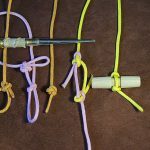 I have seen this knot (2 or 3 in number) used to help the climber to ascend a rope. ascending or “Prusiking”. 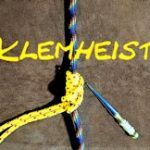 Two or three Prusik loops are alternately slid up the static rope The beauty of the Prusik knot is that when load is applied the knot will grip fast to whatever is is wrapped around.